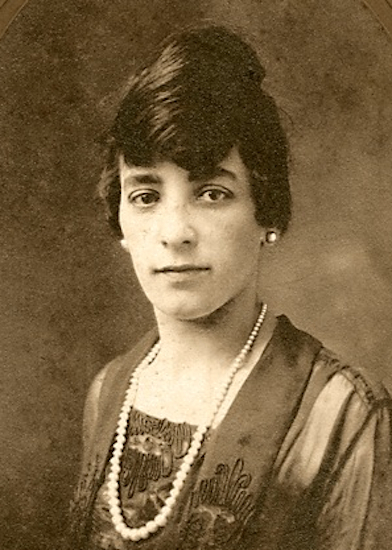 Rosa Maria Jaeger was born on 27 August 1891 in East Williamsburg, Newtown (now Elmhurst), Queens County, New York. Joseph Jaeger and Anna Maria Muttach appeared in the New York state census of 16 February 1892 in Newtown, Queens County, New York. Other members of the household included Rosa Maria Jaeger, Albert Jaeger. Julius Grieger and Anna Maria Muttach appeared in the US federal census of 1 January 1920 in Ridgewood, Queens County, New York, at 2343 Palmetto Street. Other members of the household included Rosa Maria Jaeger, Albert Herman Grieger, Frederick Albert Jaeger and Louisa Jaeger. She married George Louis Surber, son of Johann Georg Surber and Catharina Karl, on 22 February 1920 in Brooklyn, Queens, New York, at St. Aloysius Church, with Rev. John W. Hauptmann officiating. Anna Maria Muttach appeared in the US federal census of 1 April 1930 in Ridgewood, Queens County, New York, at 5946 Gates Avenue. Other members of the household included Rosa Maria Jaeger, Albert Herman Grieger and George Louis Surber. Rosa Maria Jaeger became a widow at the 17 April 1957 death of her husband George Louis Surber. Rosa Maria Jaeger died on 31 December 1985 at age 94.